Click here for the full PDF version of the article. I'm Jeffrey Alan Klein, MD, MPH, the inventor of tumescent local anesthesia and tumescent liposuction. My wife, Kathleen Hutton-Klein, MD, and I are both dermatologists with 5 wonderful kids. I split my professional time between clinical practice in San Juan Capistrano and research (lidocaine clinical pharmacology). We like biking, working out, listening to music, traveling, hanging out with friends, watching Dogers, Angels, PAC-12 basketball, our kids soccer & tennis matches, Boy Scouts and taking our youngest to search for Pokémon. My academic background: BA Mathematics (UCR), MA Mathematics (UCSD), Medicine (UCSF), MPH Biostatistics (UC Berkeley), Internal Medicine Resident (UCLA), NIH Research Fellowship Clinical Pharmacology at UCSF, Dermatology Resident (UC Irvine). I have 24 US Patents & 43 peer-reviewed publications. Tumescent.Org is Dedicated to Information About Tumescent Anesthesia. Tumescent.Org is an informational website intended to provide information about Tumescent Local Anesthesia (TLA) including history of local anesthesia, books and articles on local anesthesia, current applications, as well as recent and on-going research. Tumescent lidocaine anesthesia (TLA) was developed 30 years ago to allow successful liposuction procedures totally using local anesthesia. In decades since, Jeffrey A. Klein, MD, has expanded his knowledge of TLA so that it could potentially be used for other surgical procedures and to deliver new treatments for painful conditions. BACKGROUND: Tumescent lidocaine anesthesia consists of subcutaneous injection of relatively large volumes (up to 4 L or more) of dilute lidocaine (≤1 g/L) and epinephrine (≤1 mg/L). Although tumescent lidocaine anesthesia is used for an increasing variety of surgical procedures, the maximum safe dosage is unknown. Our primary aim in this study was to measure serum lidocaine concentrations after subcutaneous administration of tumescent lidocaine with and without liposuction. Our hypotheses were that even with large doses (i.e., >30 mg/kg), serum lidocaine concentrations would be below levels associated with mild toxicity and that the concentration-time profile would be lower after liposuction than without liposuction. METHODS: Volunteers participated in 1 to 2 infiltration studies without liposuction and then one study with tumescent liposuction totally by local anesthesia. Serum lidocaine concentrations were measured at 0, 2, 4, 6, 8, 10, 12, 14, 16, 18, and 24 hours after each tumescent lidocaine infiltration. Area under the curve (AUC∞) of the serum lidocaine concentration-time profiles and peak serum lidocaine concentrations (Cmax) were determined with and without liposuction. For any given milligram per kilogram dosage, the probability that Cmax >6 μg/mL, the threshold for mild lidocaine toxicity was estimated using tolerance interval analysis. RESULTS: In 41 tumescent infiltration procedures among 14 volunteer subjects, tumescent lidocaine dosages ranged from 19.2 to 52 mg/kg. Measured serum lidocaine concentrations were all <6 μg/mL over the 24-hour study period. AUC∞s with liposuction were significantly less than those without liposuction (P = 0.001). The estimated risk of lidocaine toxicity without liposuction at a dose of 28 mg/kg and with liposuction at a dose of 45 mg/kg was ≤1 per 2000. 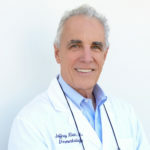 Dr. Jeffrey Klein explains the theoretical concepts relating to tumescent antibiotic delivery and demonstrates the technique using SubQKath cannulas. Jeffrey Klein MD shares his expertise in tumescent lidocaine local anesthesia of the abdomen using a Klein peristaltic pump and Monty infiltration cannulas. Download the FDA approved insert for Lidocaine Hydrochloride and Epinephrine Injection, USP For Infiltration and Nerve Block. only as recently as 1943, it is currently regarded as one of the safest and most reliable of the local anesthetics that are in common use today. The complete collection of documents containing the data upon which the FDA based its official 7mg/kg maximum recommended dosage for lidocaine with epinephrine for infiltration local anesthesia (obtained under the Freedom of Information Act).